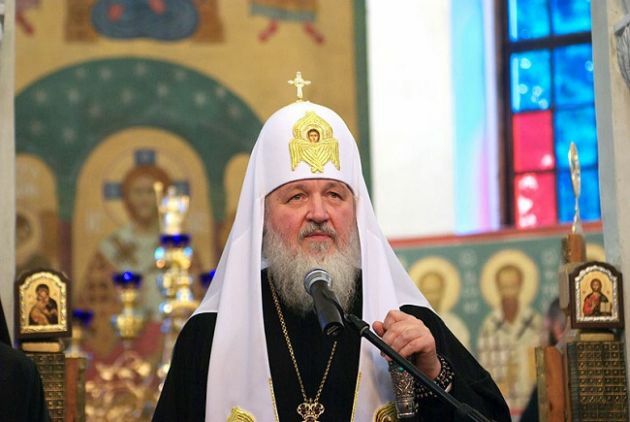 (Photo Credit: Serge Serebrok, Vitebsk Popular News)Patriarch Kirill I of Moscow is seen in a photo taken on September 27, 2009. Moscow - Pope Francis has condemned the terror attack in Nice that has killed at least 84 people, expressing his profound sadness and his spiritual closeness to the French people, while the Russian Orthodox Church has offered special prayers. A telegram was sent from the Pope by the Vatican Secretary of State, Cardinal Pietro Parolin to the Bishop of Nice Andre Marceau after the horror attack on the French National Day, Bastille Day. That horror attack also injured scores of people and there were reports the driver of a truck sewing the carnage was identified. In Moscow, the Holy Synod of the Russian Orthodox Church began a session in St Daniel's Monastery under the chairmanship of Patriarch Kirill of Moscow and All Russia with a special message and prayers. Pope Francis' message noted that while France was celebrating its national day "blind violence has once again hit the nation" in the city of Nice whose victims include many children. The Pope again "condemned such acts" and expressed his "profound sadness and his spiritual closeness to the French people." The telegram said the pontiff "entrusts to the Mercy of God those who have lost their lives" and he shares "the pain of the bereaved families" and also expressed deep sympathy to those wounded. The pontiff implored from God the gift of "peace and harmony," invoking divine blessings on the families affected by this tragedy and all the people of France. In Moscow, addressing the members of the Synod, Kirill spoke on terrorism following the tragedy that had occurred in Nice the day before. As in many capitals of the world people laid flowers in sympathy for the victims of the attack at the gates of the French Emassy in Mosocw. "An outrageous terrorist attack was committed in Nice," the Patriarch said, "It claimed the lives of some 100 people. We must give serious consideration to what is going on with the human civilization, what is going on with the human community." "These reflections must be accompanied by prayer," Kirill said. "We can only define what terrorism is in the light of religious understanding of the today's state of mankind. I believe that we have to arrive at the genuine, ontological understanding of the phenomenon of terrorism." At the suggestion of Kirill, the members of the church Synod paid tribute to the victims of the terrorist attack by observing a minute of silence. The suspected driver of the lorry that sped through the crowd in Nice, has been identified as Tunisian national Mohamed Lahouaiej Bouhlel, according to a French prosecutor and Tunisian security sources, Al Jazeera reported. Prosecutor Francois Molins said Bouhlel had been identified by a driver's licence and bank card left in the lorry. Authorities also found in the truck a fake pistol, an ammunition magazine, a replica M16 rifle, a replica Kalashnikov rifle and a fake grenade, the report said. Bouhlel had been convicted only once before for road rage.